You do realize the MAX8 was to be given a different type rating but MCAS was the solution to allow Boeing and the carriers to get around that so no new type rating was required for their pilots. Only a couple hours training on the new systems. The MAX8 flew significantly enough different it was going to be a different type until MCAS was added to make it behave the same. This saved a ton of training and certification costs. The problem is when in a problem situation and MCAS is disabled the pilots are for all intents and purposes now flying a type they have not been trained on. If you don't believe me just open your eyes... Many many many pilots are reporting these issues. The FAA anonymous reporting system is full of such complaints. This was a boondoggle from Boeings and the FAA's side. Rather important is that it was in fact considered to have substantially different enough behavior to warrant a required type rating for pilots, obviated due to the software abstraction provided by MCAS. However, this abstraction is effectively disabled when setting stabilizer trim to cutoff which is one of the later steps in the normal troubleshooting sequence. OK? So the airplane is in an emergency situation, with a flight characteristic normalizing software routine disabled, thereby making it possible for the airplane to exhibit the very behavior that pilots were never informed of, never trained for, and not required to have a type rating for, that MCAS existed for in the first place. I think that's quite a lot more relevant than airline safety records. Ethiopian Airlines has a good recent safety record anyway. And the outcry, upon MCAS being publicly revealed, among the U.S. pilot community I also think demonstrates important relative concern. And, quite a concerning story about U.S. 737 MAX pilots using the anonymous aviation safety reporting system to communicate their concerns, whether instead of or because of the normal channels for doing so. Published about 04:00 UCT 13/03/2019 i.e. after EU has banned aircraft. Horrific Sub-Tabloid quality article in the Financial Times. Reads like an advert for Boeing but confuses fly by wire and autopilot and computerised flight assistance systems and says in essence "nothing to see here - pay your money, have a stiff drink and get on that 737 Max 8 it won't kill you". It incorrectly implies that 737 Max 8 is a fly by wire aircraft and is therefore safer than a traditional aircraft. it takes a brave or calmly logical person to climb on board. But that is how passengers should treat the Boeing 737 Max 8. The main contributor to this advance is technology, especially fly-by-wire software that responds to the pilots’ touch on the controls by adjusting the thrust, flaps and other surfaces to produce the desired outcome. 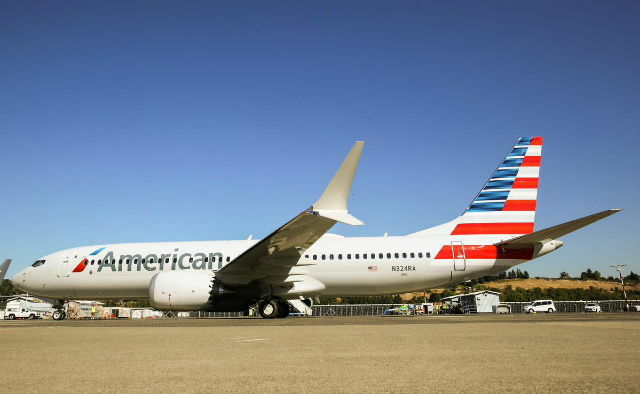 The 737 Max 8 crashes will turn out to have been avoidable if the fly-by-wire software contributed to losses of control." LONDON: When two aircraft of a new model crash shortly after take-off within months of each other, killing all the passengers on board, and airline regulators in several countries respond by grounding or blocking the jet, it takes a brave or calmly logical person to climb on board. But that is how passengers should treat the Boeing 737 MAX 8. You could wait until next month, when the software fix to the aircraft’s occasional tendency to override the pilots’ instructions and push the nose down after taking off has been fully rolled out. But the era of “fly-by-wire” being an experimental technology is in the past and the data is clear — the more that aircraft rely on onboard computers to assist pilots, the safer they have generally become. The fatal crash of an Ethiopian Airlines aircraft leaving Addis Ababa on Sunday (Mar 10), with the loss of 157 lives, follows a downing of a Lion Air flight off Indonesia in October, with 189 lives lost. Pilots of the Lion Air flight apparently failed to stop the aircraft repeatedly overriding them when a sensor wrongly signalled to the flight control system that it was in danger of stalling. It is unclear yet what happened to the Ethiopian Airlines flight but its unsteady rate of climb suggests a similarity to the Lion Air accident. That was enough for China to ground the 96 new model Boeing 737s in service in the country, followed by similar decisions in Australia, Singapore and the UK. The US Federal Aviation Authority has become unusually isolated in declaring the aircraft airworthy. Grounding a model of aircraft even temporarily is rare — the last time this occurred was six years ago when Boeing 787s were stopped from flying for several months while it developed a fix for onboard batteries. This is a full-blown crisis for Boeing in its rivalry with Airbus in commercial aerospace; single aisle 737s and A320s are the low-cost workhorses for many airlines. But Boeing and US regulators are right — to the extent that the aircraft is flawed, the 737 MAX 8 can be fixed with new software, better sensors and some pilot training. There is no need to turn off computers and return to humans taking full charge of the controls. Software has proved its value since the 1988 launch of the A320, the first “fourth-generation” fly-by-wire aircraft. It is a familiar fact, but worth repeating, that flying is far less dangerous than it was decades ago — the 11 fatal accidents per million flights in 1960 fell to around 0.1 in 2017, with only six fatal crashes and 19 deaths. The number of accidental deaths increased last year to 523, partly due to the Lion Air crash, but safety keeps on advancing. This includes “flight envelope protection”, which means that if a pilot tries to turn the jet too sharply, or push up the nose and risk a catastrophic stall, the software can disobey in some modes. As fly-by-wire aircraft have superseded earlier generations of autopilot, the number of crashes caused by pilot error (which is responsible for more than half of accidents) has fallen. Nearly half the commercial aircraft in service are now fourth-generation jets, which have reduced “loss of control in flight” crashes such as the Lion Air case by 75 per cent, according to Airbus. Technology has its drawbacks — the spread of fly-by-wire and use of autopilot means that some of the biggest dangers lie on the border between human and computer control. Pilots usually switch on autopilot shortly after take-off and do not fly manually until landing (the FAA estimates that autopilot is used for 90 per cent of flying time), which limits their experience. The best known recent case of pilots being unable to cope without technology was the Air France flight 447 crash of an Airbus 330 over the Atlantic in 2009. Its autopilot disengaged in a storm because airspeed sensors were blocked and an inexperienced co-pilot put it into too steep a climb. While the control system warned loudly of the danger, it stalled and fell out of the sky. The 737 MAX 8 may have suffered the opposite problem — the pilots were flying both jets manually but part of the flight software is designed to override the aircraft’s tendency to pitch its nose up when climbing and turning. In the Lion Air case, a faulty sensor reading could have made the computers respond as if it was breaching its flight envelope, although it was not. The 737 MAX 8 crashes will turn out to have been avoidable if the fly-by-wire software contributed to losses of control. But Boeing need not redesign its aircraft entirely, and curbing the involvement of computers in flight systems more generally makes little sense. The moral is that pilots should be sufficiently trained and practised to fly manually if required. Given the choice of flying on an aircraft with pilots who are wholly in charge of the trip, or one on which software is able to countermand them if it senses an error, I would pick the latter. The 737 MAX 8 accidents, tragic though they are, do not alter that. Because they can't certify the aircraft without MCAS. At high AOA the engines (being MUCH bigger and WAY further forward) provide too much aerodynamic lift ahead of the CG, pushing the nose up even further. MCAS adds AND trim in this scenario. Just compare the B737-100 with the B737-MAX and you see why they needed to add electronic band-aids to keep it legal. No one here believes them. See TWA 800 crash due to fuel tank explosion. The similarities to the Lion air incident are dominating everyones' analysis except for those of Boeing and the FAA. This might all change once the recorders are read. and much speculation that the reported streak of light was a missile that had struck TWA 800"
There was no missile. A number of witnesses 'saw' a missile. It isn't true. The MCAS system exists simply to aid with nose down trim in high angle of attack, close to a stall recovery because the new MAX has a greater pitch up tendency when pilots apply maximum thrust (in the recovery from a near stall) and regulators saw pilots sometimes didn't add enough forward control force when faced with an unexpected pitch up in those critical situations. The MCAS system likely will never be seen operating by a 737 MAX pilot in their entire aviation career so it isn't like it is making the plane fly the same on a daily basis for type rating purposes or something. The MAX would not meet the applicable requirement in "Part 25" for control force/command per AoA ( several reputable references). The controls got "lighter" at high AoA whether banking or not. Whether the plane would have kept increasing AoA all by itself without moving the yoke, we'd have to ask one of the cert test pilots or evaluators. No, only the MAX 10 will have a modified Main Landing Gear. However all MAXes have a lengthened Nose Landing Gear (12 inches IIRC) which makes for the strange stance of the airplane on ground. Thanks, you're right of course. Interestingly, looking at the ground clearances in Boeing's Technical Characteristics docs, the forward door sill height on the Max 8/9 can vary by up to 11-12" depending on aircraft loading state, whereas the NG door sill height only varies by about 6". This describes normal operation of MCAS at lower airspeeds ~ Flap0, min manoeuvring speed; 10 secs of trim (or less ?) provides sufficient change in stick force to meet stability requirements. However, with erroneous trim input due to AoA failure, MCAS can repeatedly apply 10sec inputs, furthermore this is not limited to lower airspeeds (not discussing Mach restrictions here). Thus the increased stick force due to 10 sec of trim at ~ 250 kts could be considerable, repeatedly additive, and potentially even higher forces as speed increases - due to nose down pitch change. The drill assumes that the crew will deduce ‘abnormal’ operation, but this might only be possible after noting trim activity in excess of what might be judged a normal input; so the decision process starts after 10 sec, with further nose down trim input. Whilst we don’t know if the 737 Max suffers trim ‘jack stall’ as in previous models, but even if not, the control forces could demand great piloting effort. If these concerns apply to the Max, then system modifications must ensure failure resistance over the complete speed range. This brings me onto point 2).- “Sanity” Displays. Each aircraft has 1-3 INS systems. They look at 6 DOF (six degrees of freedom, P,Y,R, and Surge Heave and Sway as Noah would say) and they are fully capable of measurements to high orders of angular and rate accuracy. They know exactly what the “vectorial” behaviour of the airframe is at any instant. The strapped down INS actually contains low-drift North-seeking Ring [email protected] gyroscopes, and 6 very sensitive accelerometers, probably all Honeywell types same as used in TLAAMs. The basic function of it can act as a really high-accuracy vertical reference unit. (remember those?). It can output the true measured “3D” motions of the a/c its - accelerations, pitch angles, rates and an earth-centred attitude reference. Remember - half the battle of flying is defying gravity. So as an engineer, my question is - why rely wholly on attitude sensors that Noah used to trim his boat in a gale? They are subject to bugs (insects), cleaners, de-icers, icing, birdstrikes, electronic failures, corrosion, static from lightning, poor calibration etc etc. The real method of display of an aircraft’s true attitude should, in my opinion, be derived from the “VRU” aspects of the INS and combined/checked against any external physical sensors. A failure warning “disagree” page should be available on the glass display, warning the pilot (by red/green overlaid lines etc) that what’s being “dealt with” is NOT the true attitude of the a/c in motion or its approach to/from instability. Just a thought. I’ve banned my whole family and staff from ever flying on the MAXes for the foreseeable future and I extend my heartfelt sympathies to those affected by this, IMHO, totally avoidable “modern” tragedy. USA grounds all B737-8 and 9 MAX as per now, 1130 PT. Not a distinction that Noah had to worry about. Nail, head, hit. Stakes can't be higher, with the order book hanging in the balance. Will the MCAS-Gate affect Boeing the same way Dieselgate affected Volkswagen? And the 707-320 was 152ft 11in long. Both Canadian transportation minister and FAA statement refer to "new information." Anyone have knowledge of what, specifically, we know today that we didn't yesterday? The Canadians referred to new "satellite tracking data", which may just be a roundabout way of saying more granular ADS-B data hoovered up by satellite. Possibly, and this time the Europe-US dynamic will be across the Atlantic in the other direction. A stitch up between Boeing and the FAA may not be enough for other regulators around the world. It is unlikely but not impossible that to continue selling around the world, the MAX may have to be completely re-certified as a new aircraft. It is unlikely but not impossible that to continue selling around the world, the MAX may have to be completely re-certified as a new aircraft. On the contrary, it is indeed impossible. The Max could not be certificated today under existing standards. That's why it's grandfathered onto the original 737 Type Certificate.